*Tentative program downloadable at the bottom of this page. The Bertrand Russell Distinguished Scholars Lecture Series highlights the work and thinking of distinguished thinkers within subjects, fields, disciplines, or about specific topics or issues. We honor the thinking, the philosophy and the contributions of Bertrand Russell through this series. This important dimension of the conference highlights the work and thinking of distinguished scholars throughout history who have contributed significantly to the conception, and advancement, of fairminded critical societies. Russell scholars may come from any subject, field, or discipline, or from any domain of human thought. 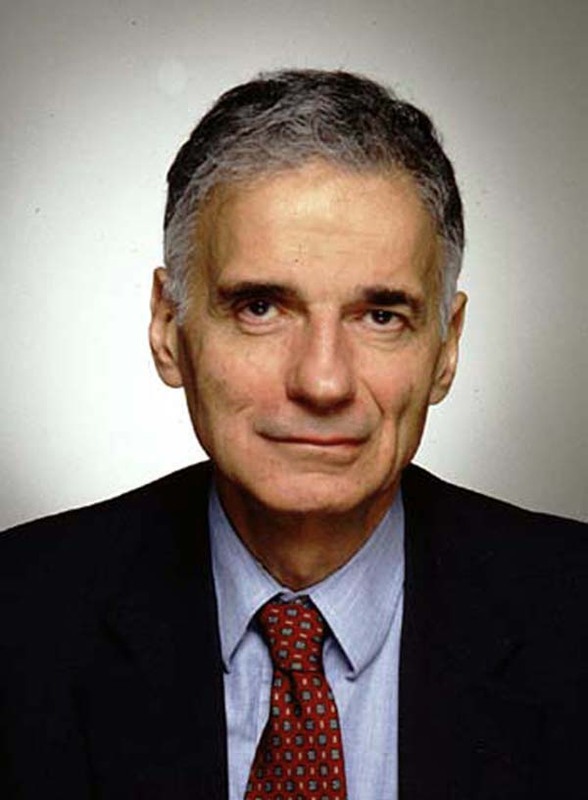 This year's scholar is public citizen Ralph Nader. All conference participants are invited to participate in the Russell program. Only conference registrants will be admitted. 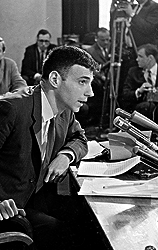 Honored by Time Magazine as “One of the 100 Most Influential Americans of the 20th Century” and as “One of the 100 Most influential Figures in American History" by The Atlantic, consumer advocate and Green Party presidential candidate Ralph Nader has devoted his life to giving ordinary people the tools they need to defend themselves against corporate negligence and government indifference. With a tireless, selfless dedication, he continues to expose and remedy the dangers that threaten a free and safe society. The subject of the critically acclaimed documentary An Unreasonable Man, Nader also penned the introspective book The Seventeen Traditions about the earliest days of his own life, where he revisits 17 key traditions he absorbed from his parents, siblings, and the people in his community and draws from them inspiring lessons for today's society. Nader released his first novel, Only the Super-Rich Can Save Us in March 2011. The book presents a "practical utopia" outlining the lasting improvements to society that America's most powerful figures could achieve if they pooled their resources toward a singular goal. Legendary magazine editor Lewis Lapham called the book "as inspirited a work of the political imagination as Tom Paine's Common Sense." His latest work is Told You So: The Big Book of Weekly Columns, which presents a panoramic portrait of the problems confronting our society and provides examples of the many actions an organized citizenry could and should take to create a more just and environmentally sustainable world. Recently, Nader announced his plans for a museum in his Connecticut hometown that celebrates victories of the law over corporate power. The American Museum of Tort Law, which is set to be built in a former bank building in downtown Winsted, will hold appeal for an audience far beyond law school students: visitors will learn that the jury system serves ordinary citizens. Nader's foray into public life began in 1965 when he took on the Goliath of the auto industry with his book Unsafe at Any Speed, a shocking expose of the disregard carmakers held for the safety of their customers. The Senate hearing into Nader's accusations and the resulting life-saving motor vehicle safety laws catapulted Nader into the public sphere. Nader quickly built on the momentum of that success. Working with lawmakers, he was instrumental in creating the Occupational Safety and Health Administration (OSHA), the Environmental Protection Agency (EPA), and the Consumer Product Safety Commission. Laws he helped draft and pass include the Safe Drinking Water Act, the Meat and Poultry Inspection Rules, the Air and Water Pollution Control Laws, and the Freedom of Information Act. 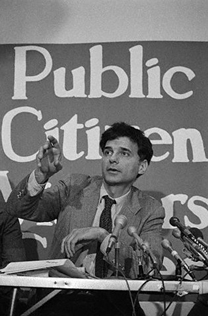 Working to empower the average American, Nader has formed numerous citizen groups, including the Center for Auto Safety, Public Citizen, the Pension Rights Center, the National Coalition for Universities in the Public Interest, and the student Public Interest Research Groups (PIRGs) that operate in over 20 states. He has also worked with alumni classes, including his own at Princeton University and Harvard Law School, to expand their efforts beyond parties and reunions to community projects that systemically advance social justice. Successfully predicting the current financial crisis years ago, Nader has outlined a ten-point plan for recovery. His plan involves sweeping reforms for the financial and housing markets, as well as increased public accountability for any institution seeking a bailout. Nader has also defended the integrity of public office by rallying against the laws allowing multinational corporations to make unlimited donations to political campaigns. Believing that Republicans and Democrats are so close ideologically he calls them "tweedle-dee and tweedle-dum," Nader organized the Green Party's first presidential campaign in 1996 to challenge the "duopoly" of the two-party system. He received 700,000 votes on a limited campaign budget of $5,000 and he ran again in 2000, receiving 2.8 million votes. His goal is to build the foundation of a third political party and create a robust progressive political movement that rallies around issues rather than empty slogans and figureheads. Among his best-selling books are Crashing the Party: How to Tell the Truth and Still Run for President, Winning the Insurance Game, Why Women Pay More, and Getting the Best from Your Doctor. Other titles include Children First: A Parent's Guide to Fighting Corporate Predators, No Contest: Corporate Lawyers and the Perversion of Justice in America, and The Ralph Nader Reader. He also writes a weekly column, "In the Public Interest," which runs in newspapers around the US. Both citizens and corporate audiences listen intently to what Nader has to say. Years after they graduate, college students tell him how his lecture changed their lives. His message is simple and compelling: "To go through life as a non-citizen would be to feel there's nothing you can do, that nobody's listening, that you don't matter. But to be a citizen is to enjoy the deep satisfaction of seeing the prevention of pain, misery, and injustice." Bertrand Russell was one of the most influential 20th century philosophers. In the following passages, he emphasizes the importance of open and free inquiry. He stresses the critical need to create education systems that foster fairminded pursuit of knowledge, and warns of the dangers inherent in dogmatic ideologies. The world that I should wish to see would be one freed from the virulence of group hostilities and capable of realizing that happiness for all is to be derived rather from cooperation than from strife. I should wish to see a world in which education aimed at mental freedom rather than at imprisoning the minds of the young in a rigid armor of dogma calculated to protect them through life against the shafts of impartial evidence. The world needs open hearts and open minds, and it is not through rigid systems, whether old or new, that these can be derived. (Russell, 1957, pp. vi-vii). ...beneath all this load of failure I am still conscious of something that I feel to be victory. I may have conceived theoretical truth wrongly, but I was not wrong in thinking that there is such a thing, and that it deserves our allegiance. I may have thought the road to a world of free and happy human beings shorter than it is proving to be, but I was not wrong in thinking that such a world is possible, and that it is worthwhile to live with a view to bringing it nearer. I have lived in the pursuit of a vision, both personal and social. Personal: to care for what is noble, for what is beautiful, for what is gentle; to allow moments of insight to give wisdom at more mundane times. Social: to see in imagination the society that is to be created, where individuals grow freely, and where hate and greed and envy die because there is nothing to nourish them. These things I believe, and the world, for all its horrors, has left me unshaken. The great majority of men and women, in ordinary times, pass through life without ever contemplating or criticising, as a whole, either their own conditions or those of the world at large. They find themselves born into a certain place in society, and they accept what each day brings forth, without any effort of thought beyond what the immediate present requires…they seek the satisfaction of the needs of the moment, without much forethought, and without considering that by sufficient effort the whole condition of their lives could be changed...It is only a few rare and exceptional men who have that kind of love toward mankind at large that makes them unable to endure patiently the general mass of evil and suffering, regardless of any relation it may have to their own lives. These few, driven by sympathetic pain, will seek, first in thought and then in action, for some way of escape, some new system of society by which life may become richer, more full of joy and less full of preventable evils than it is at present (p. viii). Bertrand Russell’s thoughts and writings on social issues are intimately linked with the ideals of critical thinking and the concept of fairminded critical societies. Russell, B. (1919). Proposed Roads to Freedom . NY: Henry Holt and Co.
Russell, B. (1956). Portraits From Memory and Other Essays . New York: Simon and Schuster. Russell, B. (1957). Why I am Not a Christian . New York: Simon and Schuster.